Cars of the future are on the way to you! Are you on the way to us? The 21st century could be called the era of technological innovation in the history of the Valeo. In manufacturing, we apply findings from the research which plays one of the most important roles in the development of our company. Researchers have to strengthen our technological lead and enhance our strategy of differentiation in a highly competitive market. We manufacture and look for solutions to match drivers’ needs as closely as possible. We also collaborate with students and provide them with training under the supervision of experts. Read the stories of our engineers about the diversity of their work. Jaroslav joined Valeo as a fresh graduate with no experience. He considers the career shift to his new position to be his biggest success. His current mission is to start the production of a new product. 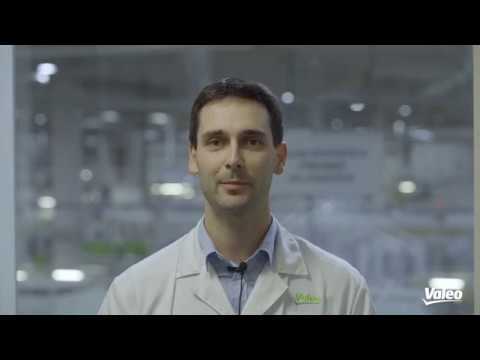 David started at the position of a trainee in the department of process engineering in Valeo and after graduating from university he remained in the company on the position of Process Engineer. He is proud of every completed task. Jan started at the position where he led a team of about 6 people. Today he manages the entire production department with 200 employees. Josef works at the company for 15 years. During this time the department of the hydraulic press became the best hydraulic press room in the framework of the Valeo group. He likes his job and he still has the feeling that there is a room for development.